assets in the nuclear domain, the government has sanctioned raising the strength of the force with 37,000 more troops in order to bolster security at these facilities. The force has been seeking enhancement of its manpower, from the existing 1.45 lakh, for quite some time now as it is being increasingly entrusted with security duties like with the expansion of the Delhi Metro network in the national capital and transfer of more civil airports and private sector units under its cover. personnel, with sanctions to raise two more battalions (about 2,000 personnel) once the new strength is achieved fully in about two years time. "This has come as a shot in the arm for us. Our tasks are increasing gradually and the enhancement in our strength will act as a great boon to ensure better operational preparedness, faster promotions and effective supervisory control," CISF Director General OP Singh told PTI while confirming the development. He added the force will soon begin recruitments to fill up these sanctioned numbers. organisation of posts and services," the DG said. Central Industrial Security Force officials said that with the government making clear its intention of entrusting more and more civil airports to it and an increasing task in the domain of VVIP security, the force required more numbers. While the CISF guards 59 civil airports in the country as of now, it also has an elite VVIP security wing under its command called the Special Security Group (SSG). At least 3,000 personnel, they said, are only required to cater to the security needs of the transport lifeline of the national capital, the Delhi Metro, which is not only expanding its network but is also witnessing an increasing passenger load from the current about 27 lakh commuters per day. 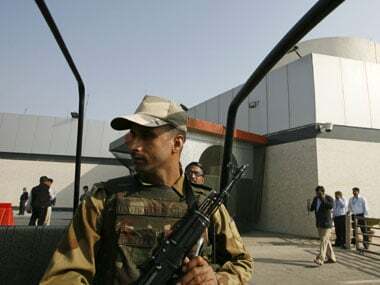 Some manpower is also required to beef up security at sensitive aerospace and nuclear installations in the country and the new manpower when raised, will also be sent to these locations. forces' role in this domain is also increasing with eight facilities already under it command and manpower for the ninth is set to be deployed soon. Early this year, the government had ordered deployment of about 35 CISF personnel to guard Baba Ramdev's Patanjali Food and Herbal Park Private Limited in Haridwar. The other seven private sector units being guarded by CISF are: Electronics City in Bengaluru and Infosys campuses in Bengaluru, Mysore and Pune, Reliance Refinery and Petrochemicals in Jamnagar, Coastal Gujarat Power Ltd project executed by the Tata group in Mundra and the Tata Steel project based in Odisha's Kalinganagar.